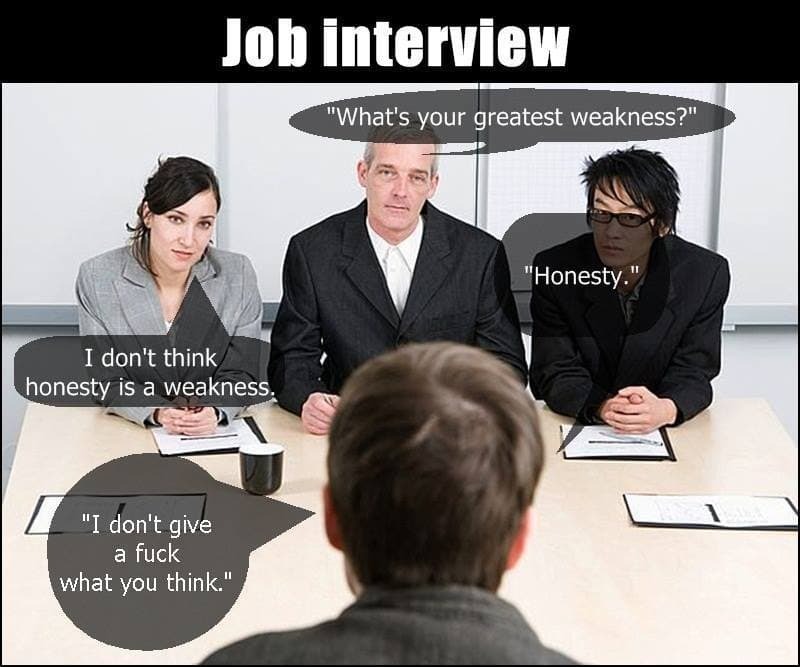 HR Interview Question : What's Your Weaknesses? It's an important question asked in HR. Lets share the views. Question : What's Your Weaknesses? How do you overcome them? Whatever we say, we have to be honest. Because if they are in a mood to take you for a ride with your answers, you should be able to justify whatever you say. I have a doubt, what kind of weaknesses we should say? Can i say like this...i have a lot of anger in my childhood days,now i overcomed it by bringing out the sense of humour and patience in me. what kind of weaknesses ...personal ,technical weaknesses? Having a technical weakness is not good if u r applying for a technical post. What u said above can lead to next question as "What is your present weakness", so be prepared for what can come next..
ok then for a software company interview,what kind of weaknesses should we say..expecting the answer in particular. As AbraKaDabra said it is better to be honest about it, but also take care that it should not give a negative impression. Also u should be able to handle questions that may follow.